IT support services refer to the technology related work performed by a managed services provider (MSP) on behalf of a client. An MSP can assume the role of a company's IT department in full, or can be used to supplement a company's existing internal IT staff. 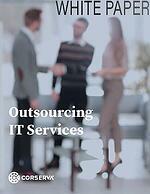 A growing company may outsource some IT services as their technology needs become more advanced and specialized. This 25-page white paper describes the types of IT services that are available to companies looking to outsource some or all of their technology needs. Why should I consider outsourcing my level 1 help desk support? How can an MSP help me when I already have internal IT staff? What is the value of IT monitoring services provided from a NOC? How much will I pay for IT managed services? The smallest organizations may start out managing IT internally. But as a company grows, IT related tasks can become burdensome for staff, especially if IT is not their primary function. Similarly, as the technology needs of a company become more advanced and specific, business owners may decide to outsource these services. For as long as there's been technology in the workplace, there has been a need to support that technology. As certain as death and taxes, things will eventually break. In the early days of business technology, IT service providers emerged as a solution to solve the problem of what do you do when something stops working. Businesses could call their IT firm to fix whatever was broken and pay them for their services. This traditional break/fix model was a reactive type service. You called them when you needed work done and they charged a one-time fee. Later, managed services and managed service providers (MSP) came about as technology became more complex and integrated into every aspect of a company's processes. Today, it is difficult to imagine performing most job duties without access to email, internet, and other systems. With a managed services contract, businesses can rely on their MSP to provide services that will prevent problems from occurring, as well as to solve issues when something happens such as a hardware failure or security breach. Many companies will consider outsourcing their IT needs to an MSP when the company reaches a certain level of growth. Using an MSP to provide managed services enables company staff to focus on business strategy, instead of IT tactics. What's the Difference Between a Break/Fix Vendor and an MSP? Many IT service providers that started out in the break/fix model have simply slapped on the MSP label as a way to upsell their services. It is important to understand the difference. A break/fix company waits until you report a problem and then fixes it, billing you for remediation efforts. A proactive managed services provider typically charges a fixed monthly fee and takes steps to prevent issues from happening in the first place. Because an MSP is in the business of preventing problems, which is also advantageous to an MSP's clients, business owners are increasingly choosing MSPs over break/fix vendors. MSPs can offer more robust services to businesses which translate into cost savings. When you select an MSP over a break/fix vendor, you align your business goals with those of your IT service provider — to prevent problems in the first place. The successful management of your IT infrastructure requires highly skilled technical staff monitoring your systems 24x7x365 using the latest remote infrastructure monitoring technology. You need experts in servers, virtualization, storage, networking, desktops, cybersecurity, disaster recovery, and other business technologies. A company will use managed IT services to supplement or outsource the daily operation of their IT infrastructure. A critical task that an MSP can perform is IT asset management. During the initial engagement, the MSP will do a technical assessment of your entire network that will identify all devices. Then, they will continue to manage your inventory of IT assets. Learn more in the blog post, Why We Love IT Asset Recovery Services. Learn more in the blog post, "What are managed IT services?" 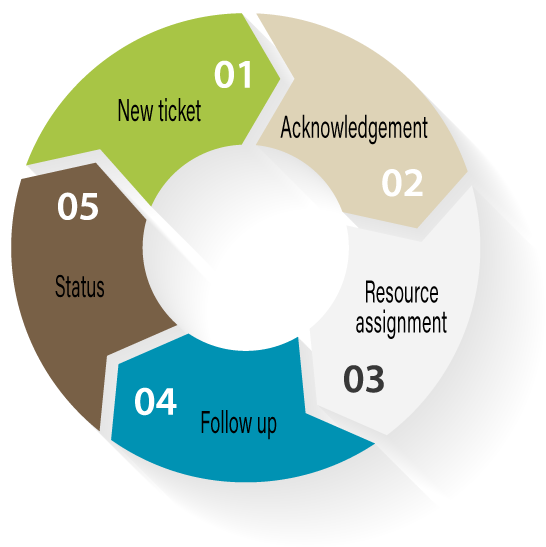 Help desk support for end users is provided through a network operations center. A network operations center (NOC) is a hardened facility that is used to monitor performance and security events of client networks 24x7x365. Ideally, the facility should have redundancy for all major systems including electricity, HVAC, and internet, in addition to computing systems. From a NOC, IT monitoring is performed on all kinds of traditional IT infrastructure as well as IoT devices, including network equipment, servers, storage, desktops, laptops, and mobile devices. For each type of device, there should be a performance monitoring template in place that defines the device parameters to be monitored, the threshold to be used for alerting, and the measurement frequency for that device. Communication with clients is a key factor for measuring the effectiveness of a NOC. This requires that NOC personnel have the most advanced tools in monitoring technology and incident management, as well as comprehensive processes that keep clients informed every step of the way during remediation. NOC personnel may have different capabilities (Level 1, 2, and 3 technicians) and the NOC should be staffed 24x7x365 with coverage for the various disciplines. To expedite on-site resolution, NOC teams should have real-time connectivity with field resources. In addition to remote support where monitoring is done by NOC personnel, MSPs can also provide on-site temporary or permanent support to you where employees of the MSP work at your site, acting as your virtual IT department. The extra benefit to this scenario is that on site personnel have the talents of all the employees of the MSP behind them, and therefore can provide comprehensive and specialized service. An MSP can also serve as your virtual IT department to completely fulfill your technology needs or to supplement your existing IT team. A common engagement may outsource all end user issues to the MSP’s NOC, freeing up your internal IT talent to focus on the strategy and planning of future IT needs at the company. An MSP can also be a good fit when specialized technical skills or certifications are required as in the fulfillment of new mandates or other compliance needs that require some type of assessment, such as those for HIPAA, PCI DSS, and NIST. A typical need for IT services is colocation. Forward-thinking businesses are realizing they can keep expenses in check while strengthening security by using a shared data center infrastructure. A company that requires the use of a data center understands the cost benefits and security advantages of this service over building and maintaining a company’s own data center to house servers, storage, and networking equipment. With colocation, businesses get a reliable, secure environment for critical business systems with maximum uptime and reduced operational exposure. At the same time, expenses are controlled by sharing the costs of space, power, and connectivity with other firms. When an MSP owns and maintains its own data centers, the MSP is not relying on a separate vendor to provide data center services. This can make resolution of issues seamless for the MSP’s clients if a disruption occurs as there are not multiple vendors involved between the MSP and the data center provider. As a client, you are dealing directly with the MSP to resolve all issues. And if that MSP has multiple data centers configured to provide redundancy, even better – now there is redundancy built into the systems supporting the service the MSP is supplying to clients. When evaluating MSPs that have their own data centers, consider your vertical market and any regulations to which you must abide. Focus on the type of data center or to what standards the data center complies. Keep in mind that there are a range of standards, and that you do not necessarily need to use a data center with the highest level as that may cause you to overpay for services you don’t need. The auditing of data centers originated from the financial world where accounting firms regularly audit a company’s financial results. A need was identified to validate the security and control of a data center. Over time, this auditing became more specific to data centers and now we more correctly describe the attestation standards of a data center. When a data center has met a certain attestation level, this means that independent auditors have come in and tested that there are controls in place to make that data center compliant. There are different attestation standards a data center can meet. SSAE 18 (Statements for Standards for Attestation Engagements No. 18) is the current auditing standards against which data centers are managed, having replaced the former SSAE 16 standard as of May 1, 2017. SOC (Service Organizational Control) refers to different reports used for different purposes: SOC 1, SOC 2, and SOC 3. SOC 1 reports deal with controls over financial reporting while SOC 2 and SOC 3 reports focus on controls related to security. Type refers to options within SOC 1 and SOC 2 reports. For both SOC 1 and SOC 2, Type I reports describes the service organization’s system and its controls, while the Type II report also includes a description of the auditor’s tests of controls and results. Tier describes how much power and redundancy is built into the data center: Tier I, Tier II, Tier III, and Tier IV. Think of tiers as a classification, not a certification. The higher the tier, the more redundancy is built into the data center, and the higher the cost to use that data center. The most redundant data centers will have multiple power providers and multiple internet providers coming into the same building for redundancy. The level of tier you need is based on your type of business and risk tolerance. This should be an important part of your initial conversations with providers. Your MSP should be able to help you determine the right level of service you need without overspending on unnecessary redundancy. Are there controls put in place? Are those controls being followed? Organization and administration — The organization of the IS department provides for adequate segregation of incompatible duties. Change control — Changes are made in an orderly, standard process and follow change management procedures. Access control — Formal information security policies and procedures exist and have been communicated to employees. Application security — Access to client proprietary data is restricted to authorized users. Network management — Network hardware and software is appropriately designed and implemented to achieve availability, performance, and resiliency requirements. Backup and recovery procedures — Backup and recovery plans have been developed to minimize the effect of a disaster on critical processing activities. Other controls may also be audited depending on the data center, such as controls for HIPAA or PCI DSS. Your IT network infrastructure includes your servers and your workstations (endpoint devices such as PCs and printers), as well as the network connecting everything (both wired and wireless). It’s important to remember the reason for running backups in the first place — you want to protect your business so that in the event of a disaster, you can recover your lost data and restore your systems. It’s not enough to simply run backups. To ensure disaster recovery capability, you must be able to actually recover from your backups. Compared to a small mom & pop type shop, a large MSP can provide faster, more comprehensive service. Proactive services will include monitoring of systems around the clock and, if there is a problem, 24x7x365 remediation. With proactive services that include monitoring of IT assets, your MSP can identify and remediate a problem before you are even aware of the issue. To keep your network environment secure, proactive services will also include software patch updates and other security virus updates. When you experience an issue and you need support, the level of customer service you receive can vary based on your provider and your contract with that provider. You should have consistent, multiple methods to report problems such as via phone, email, or through a web portal. Ideally, you should be able to report issues and get responses from your provider any time, day or night. MSPs that maintain their own NOCs should have a NOC ticketing system that provides real time status updates to keep you informed each step of the way on the path to resolution of the issue. When you report a problem to your MSP, you can expect several things to happen. A new service ticket should be generated through a NOC ticketing system and the issue should be assigned a unique ticket number for tracking purposes. You should receive immediate acknowledgment (such as an email) indicating that your request has been received and logged into the provider’s ticketing system. This way, you know they received your request. The provider should then assign the appropriate resources to work towards resolution of the issue. You should receive another acknowledgment that your issue is being addressed directly from the person assigned to be the main point person on your case. This person should then follow up with you to get more details on the issue. As your issue moves through the steps to resolution, you should be kept informed via email or another method so that you always know the status of your issue. Some companies with their own in-house IT staffs are successfully handling their daily IT needs, but may require specialized help on certain projects. If you have a one-time need for specialized IT services, an MSP can fulfill this role. For example, if you are getting ready to migrate your employees to Microsoft Office 365, it might make sense to use an outside third party. Starting off with a new engagement, an important service that an MSP can provide is to evaluate your existing network, comparing your needs with your current capacity. 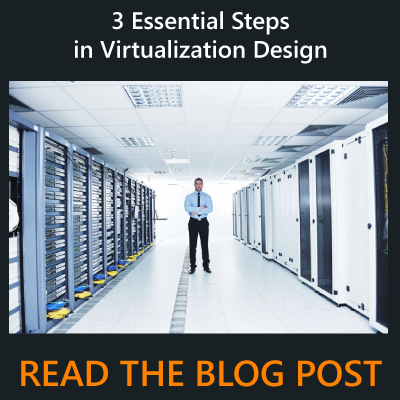 This can be useful if you feel that your network is not meeting demands and needs optimization, or if you are embarking on a major project such as consolidating, centralizing, or virtualizing your data center. An MSP can assess your existing infrastructure, look for bottlenecks or shortcomings, and develop a list of problems that need to be addressed. In addition to overall network assessments, an MSP can perform specific assessments for cybersecurty , virtualization, HIPAA, PCI DSS, and NIST. In the case where you are starting from scratch or nearly so, an MSP can build your network, taking into account your existing space and power resources, your need for wired or wireless connections, and the requirements for digital and physical security. Your IT infrastructure should support your business goals. If you have specific growth goals, these should be considered in the network design. Any concerns you have about your current technology hindering the achievement of your goals should be addressed. Think about the features you need. Do your employees need to be able to access applications remotely? If so, your network should enable secure remote access. The right network design ensures that your employees have access to the applications and files to which they need. Nothing can be more frustrating for people than roadblocks that make it difficult for them to perform their jobs. 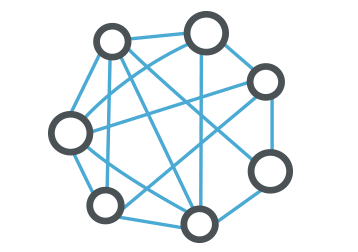 An optimized network is a fast network. The best network design enables employees to be as effective as possible. Your network should be designed from the ground up with security in mind. Security should never be an add-on. Backup systems support the company’s business continuity efforts and enable you to keep operating even in the event of a disaster. As the company grows and the needs of the business change, so too must your IT systems. Optimized network infrastructure design enables IT systems to evolve over time, while leveraging the existing investment you have already made in IT. Your IT infrastructure should support your business goals. Following the most effective practices will enable an MSP to deliver superior service management. ITIL is a set of practices for IT service management (ITSM) that focuses on aligning IT services with the needs of business. When an MSP is using ITIL based processes, the MSP enables you to maximize the value derived from technology. Conforming to ITIL practices ensures that IT services are aligned with the needs of the business. Your MSP will start by evaluating the current state of your complete IT landscape. Then, they will make recommendations for changes that will enable you to meet your business objectives and identify and track metrics for determining when objectives are met. The MSP will develop a network design and IT infrastructure. To achieve the future desired state, the MSP develops execution plans in a phased evolutionary fashion. The MSP then executes the agreed-to plans with your IT resources across the enterprise to achieve the future desired state. On an ongoing basis, the MSP will manage, maintain, and seek methods for improvement, focusing on meeting business objectives. Moving forward, the MSP will adapt plans and integrate enhancements as needed. Critical to the successful implementation of IT services is for the MSP to assess and document your network environment. The technology infrastructure of any organization has become extremely complex. Newer technologies such as cloud services, Big Data, and IoT have provided great opportunities for companies to innovate, but have also exposed new risks to the network. Without thoroughly documenting a customer’s environment, resolving future issues will cost the customer more time and money than is necessary. It is not unusual for a company to sign up with an MSP to solve a specific problem, and then during engagement with the new customer, the MSP discovers previously unknown risks of which the customer was not aware caused by unintentional connections throughout the network. It is understandable how this situation occurs when you consider how a network changes over time. It’s relatively easy to create an efficient network of servers and workstations when you start from scratch; but greenfield projects are uncommon. At most companies, networks have grown and changed over time both geographically and as new technologies were introduced. The successful management of your IT infrastructure requires highly skilled technical staff monitoring your systems 24x7x365 using the latest monitoring technology. You need experts in servers, virtualization, storage, networking, desktops, cybersecurity, disaster recovery, and other business technologies. For most companies, maintaining the diverse skill sets and 24x7 coverage for IT systems is not affordable. What if there was a way to pay for that level of service, but only when you need it? There is – managed IT services. Once engaged, an MSP becomes your virtual IT department. An MSP can monitor and support your servers, network equipment, and desktops remotely or in person 24 hours a day to keep your operations running smoothly and securely. Services are provided for fixed monthly fees. As the technology needs of your company grow, you may be struggling to decide which services you should outsource to an MSP, especially if you already have your own internal IT staff. Business Objectives — Planning the initiatives that will best contribute to the goals of the organization may be better suited for internal IT staff, although an outside party can provide IT consulting services toward this effort. Cybersecurity — With security breaches making headlines every day, all businesses have concerns about cybersecurity. Securing the company's data and systems may require skills and experience beyond the scope of internal staff. 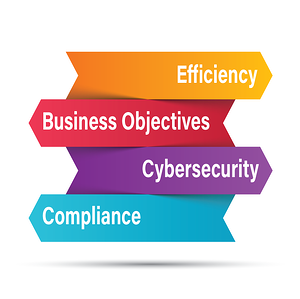 Compliance — Depending on your industry, there may be regulatory compliance laws or federal mandates to which your company must comply, and may require outside expertise, such as those for HIPAA, PCI DSS, and NIST. It can be more cost effective to outsource some or all IT needs instead of continuing to hire internal staff as the technology requirements of the business grow. Leveraging the services of an MSP gives you access to a wider range of technical skills than you would otherwise have with internal staff. This can be instrumental in making sure your company meets its business growth plans. There are multiple benefits to be gained by using an MSP to supplement the workload of your internal IT staff. In fact, in our experience, this has been the most successful utilization of the MSP services model. Typical services that can be handled by an MSP include managed monitoring services and IT help desk services. A common engagement may outsource all end user issues to the MSP’s NOCs, freeing up your internal IT talent to focus on the strategy and planning of future IT needs at the company. An IT staffer who is responsible for all IT tasks is probably decent at everything, but not especially adept at any one thing. The fact is you can get a better level of service from an MSP. If you have a small IT department at your company, they will be covering a wide range of responsibilities that require different levels of expertise, from the most basic level of end user support (why is my email not working?) to the most advanced cybersecurity threats that could cost the CEO his or her job. An IT generalist has basic knowledge across a wide range of technology areas. But the technology infrastructure of any organization has become extremely complex. Newer technologies such as cloud services, Big Data, and IoT have provided great opportunities for companies to innovate, but have also exposed new risks to the network. This is the reason it has become more difficult to troubleshoot issues than in years past. Many small companies can get by just fine with a limited IT staff handling day-to-day responsibilities. Trouble ensues when there's a big project, such as migrating all users from Microsoft Exchange to Microsoft Office 365. This type of project can tie up your IT group for an extended time. Other types of projects that can be more effectively handled by an outside party include: security assessments and validation, major data center work, network redesigns and enhancements, and virtualization projects. By outsourcing major projects, you can meet your technology initiatives while maintaining business operations. Some companies with their own in-house IT staffs are successfully handling their daily IT needs, but may require specialized help on certain projects. If you have a one-time need for customized IT services, an MSP can fulfill this role. Implementing certain technologies requires specific training and can be more effectively handled by people with deep technical experience in that specialty. A significant benefit to using an MSP is the collective knowledge you gain from the MSP's technical team. To deliver the most cost effective services, staff members at the MSP will have different responsibilities. Technicians responsible for basic end user support will have responsibilities in line with their expertise, while the more senior level engineers will handle the more complicated, specialized issues. When you do have a major issue, your MSP has the collective knowledge of its entire technical team from which to draw, versus small internal staff. This means any technical problems are solved efficiently and cost effectively — the correct people working to solve relevant issues as quickly as possible. Let's face it. It can be frustrating for your internal IT staff to deal with repetitive end user issues day in and day out. Particularly when these mundane activities slow the progress of more rewarding initiatives. It can also be frustrating for the end users when they know they are interrupting IT staff in the middle of more pressing issues to solicit help. Alternately, when there is a set process for contacting an outside party when issues arise, problems can be resolved more effectively to everyone's satisfaction. An MSP will provide a means for tracking of all issues as well as closed loop reporting. The technology in use at your company should support the business objectives. If you outsource day-to-day IT operations you can free up your internal IT staff to focus on building the technology infrastructure that will enable the company to meet its goals. 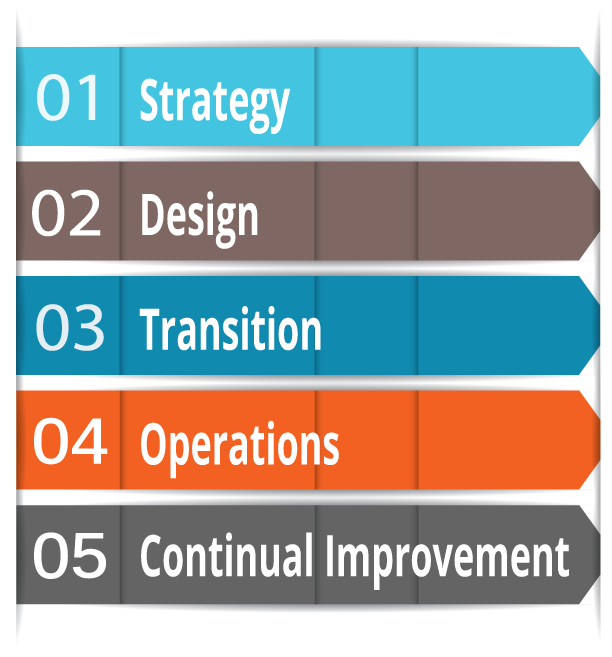 This is the basis of ITIL practices, which ensures that IT services are aligned with the needs of the business. Choosing the best MSP for your business is an important decision. Partnering with an MSP is typically a long-term relationship so it is critical that you perform due diligence before making this decision. The right choice will enable you to maximize your investment in IT and accomplish your business goals. The wrong choice can fill you with regrets. When determining your requirements for IT services and evaluating MSPs, remember that your needs may be unique based on your specific business and your in-house IT capabilities. Thinking about your internal capabilities and needs can help you understand the level of service you require. In addition to evaluating a MSP, it is equally important to understand what types of services you will need. You may be looking for a specific service but without carefully considering this list of questions, you could select an MSP that falls short of requirements you are not yet fully aware. When selecting a managed service provider, consider these questions. 1. What services are important to me? At a minimum, you will need monitoring of all IT assets, anti-virus, and patch management. A managed service provider can provide these services on an ongoing basis using centralized, reportable processes. Remote infrastructure monitoring services should include network infrastructure monitoring so that your entire network is being managed, not just endpoint devices. You should consider these minimum requirements. 2. Do I need 24x7x365 network operations support? Even if your physical business is only open from 9 to 5, problems with your website or server can occur outside of these hours. A major outage on Sunday night can significantly impact your ability to generate revenue and service customers on Monday morning. You should strongly consider 24x7x365 managed IT support as part of your minimum requirements. 3. How will the services be delivered? 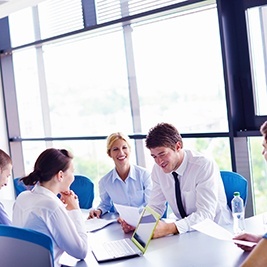 After the great sales pitch, visit the MSPs you're considering. What do their data centers and NOCs look like? Are they secure with advanced capabilities, or is it a couple of people sitting in cubicles? Cut through the sales and marketing hype and perform an on-site review of your potential providers. 4. Do I need technical engineers servicing my account? 5. Which performance metrics are important to me? Performance metrics and reports can identify patterns that might lead to outages, recurring issues, or the need for employee training. You should inquire about the types of reports available and how they will be delivered and analyzed. Ideally, you want to select a plan where you pay for what you use and nothing more. The MSP should offer service plans that are flexible, scalable, and affordable. Your needs may change in the future. The MSP should be able to create a customized package for managed services that includes precisely what you need – and nothing you don’t. 7. What are the skills and scale of the MSP's staff? In depth, specialized knowledge is a critical requirement. The MSP you select should have a mix of technical people with advanced skills in such areas as security, networking, virtualization, and advanced infrastructure. There should be redundancy among the staff to support multiple clients. 8. How will issues be resolved? When it comes to technology, issues can result from multiple factors. If an MSP outsources one or more elements of their service offering to third parties — backup and recovery data centers are a prime example — this will hinder the ability of that MSP to resolve a client problem. Nothing can be more frustrating for you than to deal with the resulting finger pointing. If the MSP doesn’t cover the entire delivery chain, how will issues be handled between multiple vendors? You should choose an MSP that owns its own data centers and takes responsibility for resolving all IT issues, no matter the cause. 9. What guarantee does the MSP offer me? You will want to choose an MSP that provides formal, written service level agreements (SLAs) that describe the obligations of the MSP. 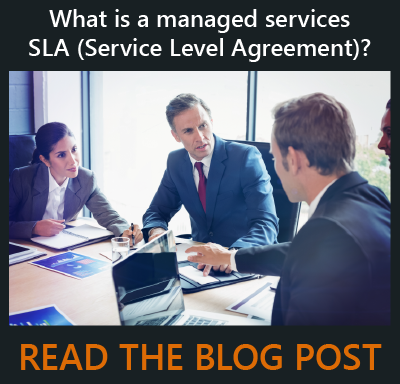 This comprehensive agreement should clearly define the responsibilities of the MSP, metrics as to what constitutes meeting the SLA standards, and what penalties are in place if the MSP misses a provision of the SLA. The MSP should have a monitoring system in place that tracks any outages down to the minute, and be able to report this information to you. 10. What is the longevity of the company? You need to select an MSP that has decades of experience. The MSP should be able to provide you with a referenceable client list. Every business is unique and you should be prepared to answer questions about your specific business that will enable the MSP to customize a package of services for you. You should be prepared to answer questions about what your company does across the entire organization and at each location. If you have specific growth goals, such as a one-year, three-year, or five-year plan, be ready to describe those goals and what concerns you have about the business that could prevent you from reaching those goals. Also think about the employees you have at each location: the type of work in which they are engaged, how many of them are at each location, and which applications employees must access in the normal course of work. How is technology impacting your ability to execute your business objectives? What are 3 key technology initiatives that you must get right? What are the specific challenges in terms of expertise and resources that may prevent you from executing these 3 initiatives? Once the MSP has a firm understanding of your business goals, you can start talking about your specific technology needs. If you have your own IT staff, you should be able to describe each person's role. Likewise, if you use any external vendors, you should have a firm understanding of their responsibilities, and be aware of any current issues with those vendors. Most organizations are using multiple applications. Some of these may be off-the-shelf while others may be proprietary or customized for your business. Your MSP will ask you who is using the various applications across your organizations and how they are used. Do you have any in-house IT staff? If so, what are their skill sets? What are the primary applications used in your business? Are they hosted or on-premise? For those that are on-premise, where are your servers located? Are you currently using any external IT vendors? If so, what are they delivering for you? One of the first steps you can expect in an MSP engagement is a careful assessment of your existing IT network. Part of this will include interviewing the appropriate people at your company to determine what equipment is in use at which locations. However, this will not be a sufficient measure of the IT environment. In preparation of providing network infrastructure monitoring services, you can expect your MSP to do a technical assessment of your entire network that will identify all endpoints in the network and potential issues. It is not uncommon at this stage for the MSP to find significant security issues that will need to be addressed; frequently, these are issues of which you were not even aware. How many physical and virtual servers in your environment? How many firewalls, switches, and routers? How many end user desktops and laptops? Mobile devices? Are there any legacy applications that cannot be upgraded or virtualized? How do remote offices connect in to the home office? Your MSP will ask you a lot of specific questions about how you do backups, not just whether or not you do backups. These questions will uncover what types of backups you are currently performing and where those backups get stored. current practices will meet your desired needs. Backups are great, but the real test comes when you have to actually restore data critical to your business from your backups. How do you presently handle backup and recovery? File level or image level backups? Are you backing up to the cloud? Are you storing backups offsite? What are your RTO (Recovery Time Objective) and RPO (Recovery Point Objective) targets? How much backup storage do you need? What’s the daily incremental change to the data storage? Be prepared to answer all types of questions about security: what protections are in place for endpoint devices as well as firewalls on the network. Security goes way beyond what most people think of as anti-virus software and firewalls. Additionally, even when the best security solutions are put into place, they must be reviewed on a regular basis to verify the way they have been configured and that the rules in place are still sufficient. 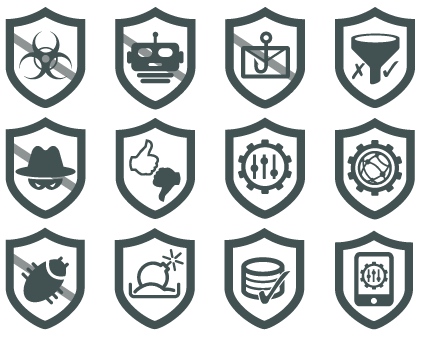 Typically, your MSP will educate you on more modern security solutions that are available and better than what you currently have in place. What firewalls do you have in place today? When was the last comprehensive review of your firewall rules and network security/network access? What other security applications are currently in use? It’s likely your employees are using the corporate network for personal devices, whether or not there is a business need for this. Have you adapted to today’s world of BYOD? The use of mobile devices raises security concerns. Do you enable remote devices to access company applications? Do you have the capability to enforce password requirements on mobile devices? Do you have the capability to remotely wipe sensitive data from a stolen device? Your MSP will ask you several questions around the file sharing capabilities you have put in place. What file sharing/file synch applications do you use today? Is file security a concern for any of the data shared through this capability? How much storage is available and how many users? Corserva provides managed IT services, colocation, IT consultancy, managed security, IT monitoring, business continuity, and supply chain management. Our two technical services centers are located in Trumbull, Connecticut and Orlando, Florida and house data centers and NOCs, from which we provide 24x7x365 remote infrastructure monitoring of our clients’ IT infrastructure. At Corserva, we are prepared to be your virtual IT department 24 hours a day. In addition, we can monitor and support your servers, network equipment, and desktops remotely or in person to keep your operations running smoothly and securely. Using Corserva as your managed services provider (MSP), you gain access to the smartest technical talent, monitoring your IT systems 24x7x365, utilizing the most advanced performance and security monitoring tools on the planet. As a result, you gain lower IT cost, better performance, and higher security for your critical business assets. At Corserva, we understand how critical your IT systems are to your day-to-day operations. That’s why we provide our clients with three primary means of contacting our support center: call, email, or web form. Our team is always available to assist our clients with their service needs. Our goal is to make sure your critical IT systems and applications stay up and running and that any problems are resolved quickly and accurately by knowledgeable technicians. The core of our company is our engineering talent. Our talented engineers design new advanced networks, security, storage, virtualization, and other solutions in some of the most complex environments in the world. Our problem solving capabilities and experience, and our rapid response capability, are second to none. Our relationships with vendors of all the leading IT products enable us to objectively identify the right technologies required to address your specific business issues and opportunities. We partner with you to tailor a package geared for your needs, whether you need complete support for all your technologies or you only need to supplement your IT department. With Corserva, when you have a problem, you have one number to call. You only need to contact Corserva, and we’ll take care of the rest.